The next task involves collecting and tagging the pertinent data from your source. Click Add Claim Row to get started. Begin cataloging ALL of the relevant claims and assertions made by this portion of the source. Don’t limit yourself to one subject if other subjects are identified in the same cited portion of the source. When entering the claim, complete the sentence, “This record claims that ________.” When referencing the subject in the claim, use a complete name instead of pronouns (for example, “Susanna Richardson,” not “she”), as it will read better in the proof report. Classify the information as Primary, Secondary, or Indeterminable. When you have finished recording the information in which you are interested, you can begin tagging it with subjects. 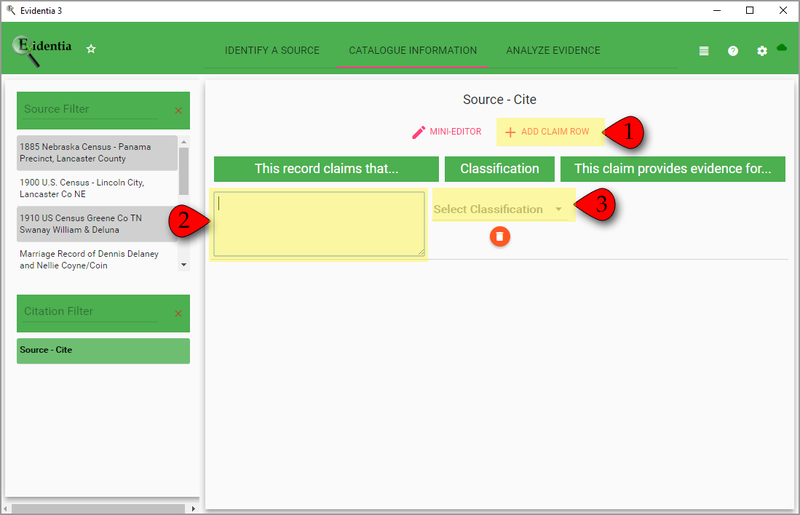 Click in the “This claim provides evidence for…” subject box to open the Tag Claim screen. 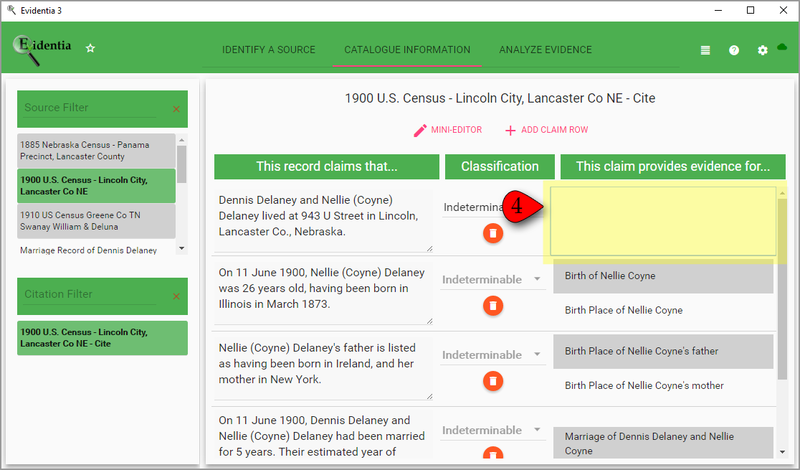 Evidentia comes with the standard Fact/Event types supported by the GEDCOM. 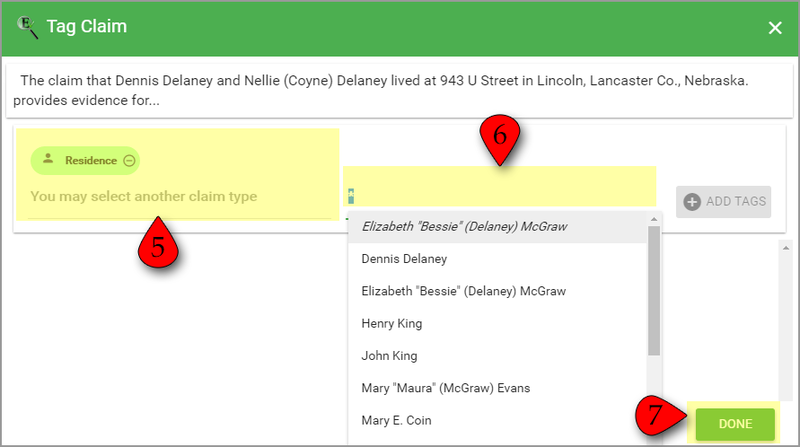 If the claim type you want to use is not in the drop-down menu, you can type in a new one, and it will be added to the drop-down list for future use. Select a subject to which the information applies. If this is the first time you have entered a subject, the drop-down list will be blank. Enter a subject name on this screen, and it will be added to the drop-down list for future use. Select DONE when you are finished tagging claims. When you close the window, the claims will be tagged. Repeat for each claim, and you will be done with Task Two: Catalogue the Information.